Home » Carpet Cleaning » What do our cleaning products smell like? This is an awesome question and one we hear often. I’d like to share a story with you, dear reader. It was sort of a sock in the gut back then for me because I didn’t know how to answer. To me our products smelled good, but what is a chemical smell? I had to find out. I told Mrs. Brown I’d find out, and I did. Before I continue my journey, it’s important to know how we clean. The primary ingredient in our cleaning systems is very hot pressurized softened tap water. First we use a preconditioner to help break up soils, and then we extract out the soils and preconditioner with plain hot softened water. We do not use any sort of rinse agents in our rinse water. We believe in leaving whatever we’re cleaning as residue-free as possible. Because we’re not using a rinse agent in our rinse water, it takes us longer to clean than if we did use rinse agents. But it goes back to our company philosophy of : First, Do No Harm – to property, clients, pets, plants, and environment. Their answers ranged from “rubber” to “plastic” to “gasoline and diesel” to “oil” to “a freshly opened can of tennis balls”. From that conversation I surmised the common element of the odor “chemical” was oil-based something. So I called an allergy specialist friend to get his input. He said that everyone reacts differently to different stimuli, including “chemical smells”. I told him based on my research that the overwhelming common element that I discovered is oil. He said from an allergic standpoint that oil really isn’t a common trigger for allergies and suggested that I study the field of chemical sensitivities. So I did. But first I called back Mrs. Brown and told her of my findings so far, and that I was continuing my search. She was impressed. I suggested to her that we first let her take a sniff of our products before we started cleaning. We set up her cleaning appointment and let her take a whiff of our preconditioner. 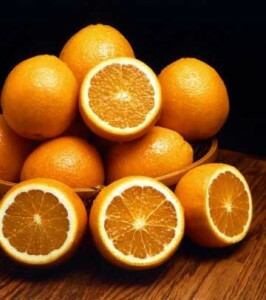 “Smells like oranges!”, she said enthusiastically. “Go right ahead and clean”, she said, “that doesn’t smell like chemicals AT ALL.” I cleaned for her and she was ecstatic. I was partially relieved, but my brain is ever-curious. I had to find out what this mysterious science of chemical sensitivities is all about. For the next year I delved into everything I could find. The Internet was in its infancy and there wasn’t a lot of information online about this subject yet. I took courses on odor control and learned a whole bunch about odors and how to rid of them. Odor control and removal comes down to this: Remove the source and the odor will be permanently removed. Simply masking over the source will cause the odor to reurn. This is absolutely true, but it didn’t answer the question about people with chemical sensitivities. One of our clients is a psychologist and one day when I was cleaning for her I asked her what chemical sensitivities meant to her. I also asked her if she had any clients that had chemical sensitivities. The reason I asked her is because in odor control school the instructor and the course material states that oftentimes there are “phantom” odors. While we’re just touching the surface of figuring out the brain, we do know that when something smells strong and/or unusual, it often leaves a psychological imprint. This imprint can be good or bad. 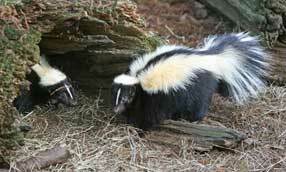 As an example, let’s imagine your dog got sprayed by a skunk. That’s a pretty traumatic experience. The dog is freaking out, you’re freaking out, and the dog stinks terribly. You wash the dog thoroughly before allowing him back in the home. You smell his coat, feet, face, ears – everything – and he smells good, so you let him back in. And then you start smelling skunk for the next couple of weeks or even months. You sniff the dog again – nothing. He smells great. Your friends come over and you embarrassingly ask them if they smell anything. They say “no, not at all.” But you are sure you smell skunk and chalk it up to having a keener sense of smell than others. That describes psychological or “phantom” odors to a T. Something traumatic happened associated with smell, and you are sure you smell something, but nobody else does. That’s just the way our brains work. There are many examples like this. It can go the other way also. As a kid I recall passing by a lilac bush on my way to the bus stop every morning. I could always tell exactly where I was even with my eyes closed because I could smell the lilac bush well before I could see the house. In my mind I knew exactly where I was because of that psychological odor. The psychologist said oh yes, there are lots of people who get headaches and feel nauseous when they smell something. Most of the time it’s psychological and there’s nothing we can do about it. Our brain is programmed to reject certain smells. Our brain is triggering our body to get out of there because it might be dangerous. This psychological smell can and does certainly physically affect certain people. AHA! I was now on the right path, and it made total sense. One service we offer is Water Damage Restoration. I’ve personally been on perhaps a hundred or two water damage jobs over the years where the sewage backed up into the home or business. There is no mistaking that odor – and initially my body wants to run away from it. Every person who has a working nose is repulsed by it, but and here’s the big but – not everyone is sickened by the smell of sewage, including yours truly, while others immediately get sick when they smell it. That’s why we wear protective masks (and other protective equipment) to clean up sewage. So there is a “chemical smell”, and even though sewage isn’t a “chemical smell”, it’s still repulsive and causes some people to literally get sick. “Chemical smells” can also cause some people to feel ill, while it doesn’t affect others. Bottom line: Every nose is different, and every person is different. Here’s how we tackled this issue. First, we searched high and low for products that: First, do no harm, Second – work great, and Third – have little or no smell at all. We don’t douse your home or business with products that mask over the existing odors and we won’t leave behind virtually any odors at all – except for a CLEAN and FRESH odor, which is the natural state of being soil-free. We do use a preconditioner that has a very slight scent of citrus, because citrus is great at breaking down oily and sticky soil, and then we remove it, leaving your stuff as odor-free (and subsequently as residue-free) as possible. When we remove the source the odor is gone, forever. That’s how we roll.